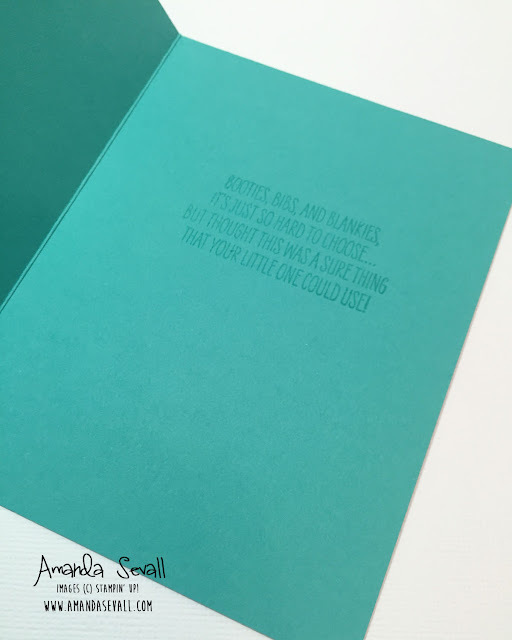 As I am writing this, I think it's kinda hilarious that I have so many baby cards the last few weeks! I tend to make a dozen or so cards every time I sit down to craft anymore... so it's funny to me that they have all stacked up here on the blog as one after the other! And this stamp set was perfect for finishing the inside of the card -- so many fantastic options with this stamp set. 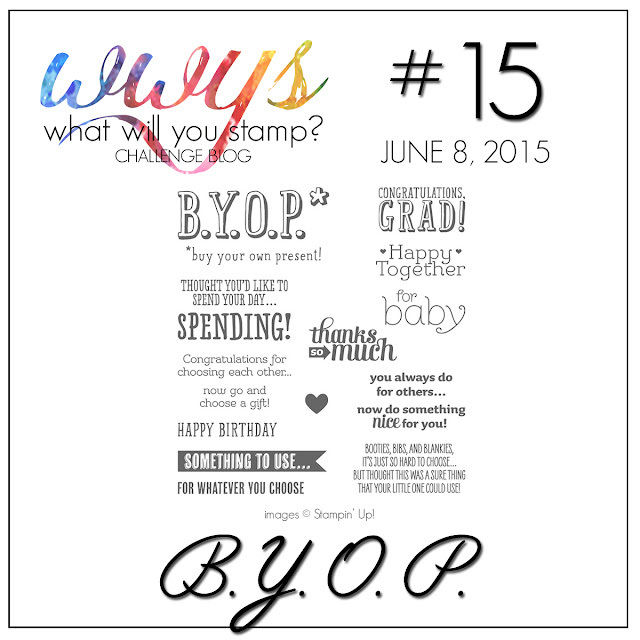 Speaking of which.... hop on over to check out all the other awesome cards this week from the What Will You Stamp? design team.... you won't want to miss seeing all the great ideas for this versatile stamp set!! I really like this one too! The colors are great and that onesie is so cute.